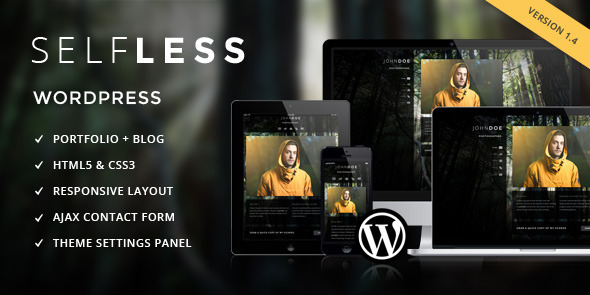 Selfless is a powerful one page WordPress theme designed for a personal or company portfolio. Using advanced jQuery features, the layout is designed for all user types providing a rich and smooth browsing experience. 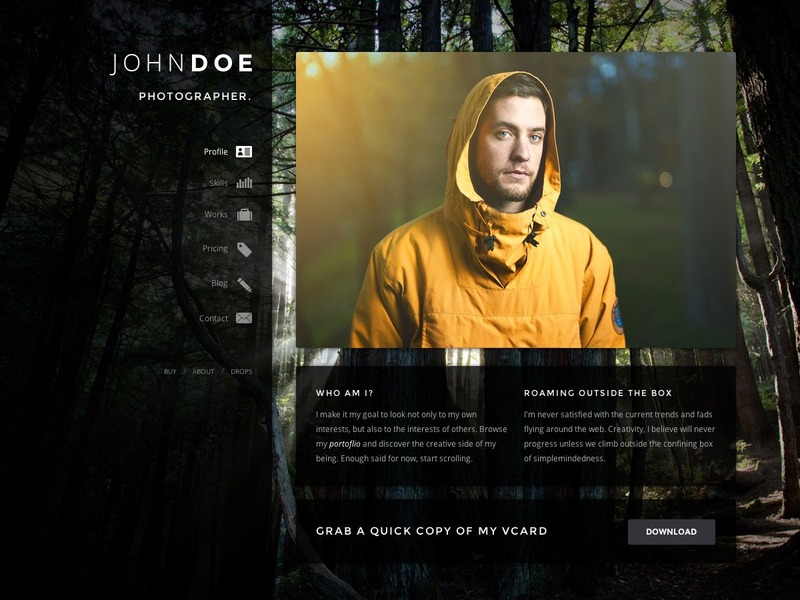 This is the WordPress version of the theme and therefore is extremely simple to install and manage! Separated project categories from blog categories. Removed quotation from empty sub title option. Fixed download button text issue in theme options. Fixed posts not showing on blog. Fixed work section headings and nav link bug, clicking faded page out. Fixed contact form issue with “Name” field. Provided shortcode support for profile text boxes. Added “open in new tab” feature to button shortcode. Added theme option to link to a new page for each menu item. Fixed work URL opening up in PrettyPhoto. Added theme option for categorizing skills into skill sets. Fixed options framework error “Name”. Added theme option to change “Messent Sent” text. Added video support to work projects. Added Google Analytics Code box to theme options. Added Custom Styles (CSS) box to theme options. Fixed problem with meta not saving for skills, work and posts. Fixed logo uploading bug by changing id for the option. Fixed vcard download bug when screen fades out. Added XML file for demo. If you have purchased this theme and need help, visit our website for support.